Photographed* say 1897� He was photographed say 1897 at Harrison Co., Mississippi. S. Culpeper, 1, M, Wh, MS.
Samuel B. Culpepper, Son, M, Sng, Wh, 3, N/A, MS/GA/MS. Sebron C Culpepper, issued 28 Nov 1900, St. Stephens Meridian, Pearl River Co., MS, Twp 2-S, Rng 14-W, Sec 4. A. C. Culpepper and Susan A. Dampier married 15 Sep 1885 in Lawrence Co., MS.
Shelton A Culpepper, Son, M, Wh, 19, sng, MS/MS/MS. J. E. Culpepper and Dora Stringer married 3 Feb 1895 in Lawrence Co., MS.
Velma Culpepper, Daughter, Wh, F, June 1898, 2, S, MS/MS/MS. John Culpeper, issued 2 May 1859, St. Stephens Meridian, Jefferson Davis Co., MS (Lawrence Co. at the time of issuance), Twp 6-N, Rng 19-W, Sec 7. Maggie M. Stringer, Niece, F, Wh, 20, S, MS/MS/MS. Maudine Culpepper, Daughter, F, Wh, 17, sng, MS/MS/MS, In School. Biography* � "The Culpeppers came to Poplarville 42 years ago when Rev. Culpepper was called as pastor of the First Baptist Church, which he served for many years. Rev. Culpepper was instructor of history at Pearl River Junior College (in Poplarville) for 20 years. They (guests) were received by Rev. and Mrs. Culpepper and their children; Mrs. Tom Holliday*, Pascagoula, Dr. J. P. Culpepper, Hattiesburg, Byron Culpepper, Poplarville, and Major Claude Culpepper, San Antonio, TX. 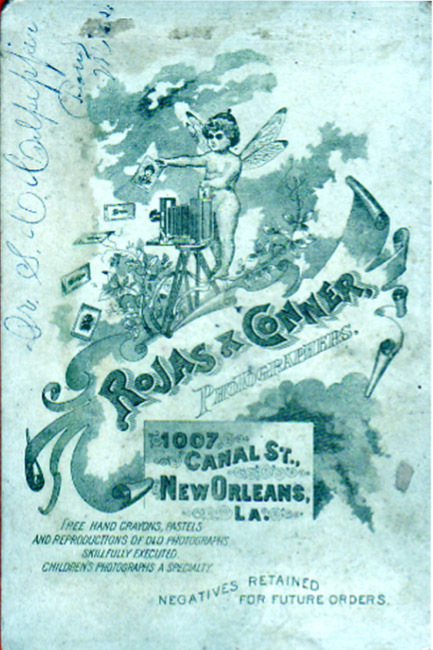 Guests were met at the door by Mrs. Sara Russ*, a neice of the beloved couple." Biography � "Rev. 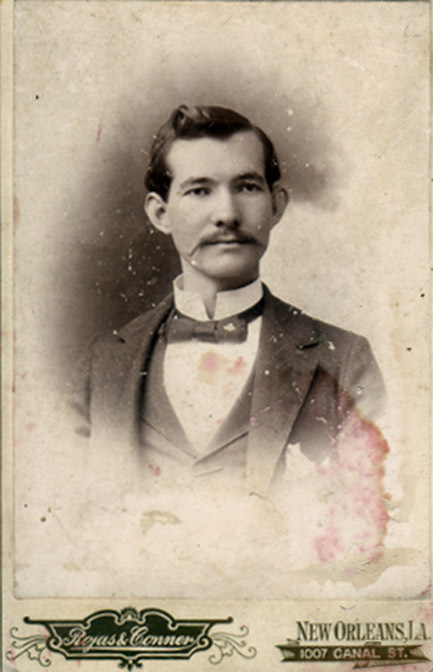 J.P. Culpepper answered the call to preach the gospel on September 1, 1888, when he was twenty-one years old. He was ordained by Crooked Creek Church on June 3, 1894. He attended Mississippi College at Clinton, where he received his B.A. Degree. He then attended Baptist Seminary in Louisville, Kentucky, and later attended Tulane University in New Orleans where he earned his M.A. degree. He served fifty years in the ministry and during that time led a full and useful life. He was an early pastor at Columbus, Gloster, Lumberton, Poplarville, Newton and many other churches in the state. He was pastor at Logtown when he retired in 1944. * He taught school for twenty years, along with his ministry. He taught at Clarke Memorial College**, Newton, Mississippi, four years and at Pearl River College many years. During fifty years Rev. Culpepper officiated at 1000 funerals; a large number of weddings; helped build 10 new church buildings and four pastor's homes; and saw 8000 people become members of the church at meetings he held. During that fifty years, he missed only seven Sundays due to illness. * Article in Bryan newspaper, Eagle, 1944 concerning visit of C.C.Culpepper.. "His only regret at being out in Texas at this time was that he missed hearing his brother, Rev. J.P. Culpepper, preach at the Baptist Church on the date that he had been ordained by that church 50 years ago." Rev J. C. Culpepper and Rosa Lee Bacot married 26 Aug 1896 in Pike Co., MS.
From a 1946 newspaper article published in Poplarville, MS, describing the golden wedding celebration of John and Rosa Culpepper. Sketch from The History of Crooked Creek Church, "Some Men Licensed by Crooked Creek Church":. Cincinnati C. Culpepper, RFD#2, Silver Creek, Lawrence Co., MS, Age 45, Born 24 Sep 1872, White, Clerk for R. Boston Co. at Hillsdale, Pearl River Co., MS. Nearest relative: Pearlie Culpepper, RFD#2, Silver Creek, Lawrence Co., MS, /s/ C.C. Culpepper, Tall height, Stout build, Blue eyes, Gray hair, No disabilities. Registered 12 Sep 1918 in Monticello, Lawrence Co., MS.
C. C. Culpepper and Pearl Buckley married 29 Dec 1892 in Lawrence Co., MS.
Hilton Culpepper, Son, Wh, M, Dec. 1898, 1, S, MS/MS/MS. Cincinnati Culpepper, issued 4 Oct 1900, St. Stephens Meridian, Lawrence Co., MS, Twp 8-N, Rng 20-W, Sec 8. Winston Culpepper, Son, M, Wh, 7, S, MS/MS/MS. John Laird, servant, M, Bl, 16, sng, MS/GA/GA house servant. (Seven Boarders-did not list names). Biography* � Samuel B. was licensed to preach by Crooked Creek Church in 1889. He was the first president of Clarke Memorial College, Newton, MS. He moved to Texas where he served churches in Stephenville and Cleburne. John Joseph Culpepper, 1424 16th Ave, Meridian, Lauderdale Co., MS, Age 41, Born 2 Oct 1876, White, Broom manufacturer for self at 2308 Grant St., Meridian, Lauderdale Co., MS. Nearest relative: Susan Elizabeth Culpepper, 1424 16th Ave, Meridian, Lauderdale Co., MS, /s/ J. J. Culpepper, Tall height, Stout build, Blue eyes, Dark hair, Blind in both eyes. Registered 12 Sep 1918 in Meridian, Lauderdale Co., MS.
Benj. Culpepper, Son, M, S, Wh, 1, AL/---/---. Year of birth is unclear, but Edd was born on January 2, shortly before midnight and 15 minutes before his brother Everette who was born on January 3, a few minutes after midnight. Volume 1, Page 4: Old Shearon Cemetery, Sumter Co., Alabama, near Halsell in Choctaw County. + Anna E. Culpepper, d/o B. M. & M. E. Culpepper, 8 Feb 1876 - 22 Oct 1880. Jean (Ruby Ora) Culpepper Smith (#2888), Culpepper Footprints in the Sands of Time, 17 North Hight Avenue, Louisville, MS 39339: , 1978. Andrew B. Culpeper, Son, Wh, M, Feb 1878, 22, S, MS/MS/AL. Rev. Andrew Bluitt Culpepper, RFD#2, Duffee, Lauderdale Co., MS, Age 36, Born 27 Feb 1882, White, Farming and Preaching, Nearest relative: Ollie May Culpepper, RFD#2, Duffee, Lauderdale Co., MS, /s/ Andrew Bluitt Culpepper, Medium height, Medium build, Blue eyes, Black hair, No disabilities. Registered 12 Sep 1918 in Lauderdale Co., MS.
Kemper Co., MS Archives, Rootsweb. A. B. Culpepper, 14, M.
J. B. Culpepper, Inmate, M, Wh, 65, Wd, MS/GA/NC. Eudoria Culpepper married W. B. Satterfield, 7 Jul 1889 in Newton Co., MS, Book 3-23. W. S. Culpepper and Annie Blanks married 14 May 1899 in Lauderdale Co., MS.
William Samuel Culpepper, RFD#2, Duffee, Lauderdale Co., MS, Age 44, Born 8 Jun 1874, White, Farmer and Millright at Singleton McDonalds Saw Mill, Lauderdale Co., MS. Nearest relative: Annie Culpepper, RFD#2, Duffee, Lauderdale Co., MS, /s/ William Samuel Culpepper, Medium height, Medium build, Blue eyes, Brown hair, No disabilities. Registered 12 Sep 1918 in Lauderdale Co., MS.
+ Nadine Eaves Culpepper, 19 Mar 1927 - __. William Culpepper and Kerron J. Goodwyn married 23 Jul 1872 in Lauderdale Co., MS.
Caron Culpepper, Wife, F, Md, Wh, 25, Keeping House, MS/GA/AL. Karon J. Culpepper, Wife, Wh, F, Apr 1861, 39, Md-27yrs, ch 0/0, MS/GA/MS. Karon J. Culpepper, Wife, F, Wh, 45, M1-33 yrs, ch 0/0, MS/US/MS. Cary Culpepper, Wife, F, Wh, 48, md, MS/GA/MS. + Karon J. Culpepper, May 14, 1855 - July 23, 1932. John Culpepper and Emma Goodwyn married 13 Dec 1877 in Lauderdale Co., MS.
Sim Lee Culpepper, Why-Not, Mississippi, age 28, born 17 Mar 1890 in Meridian, MS; employed as a night watchman at Lisman Lumber Company in Lisman, Alabama; Has wife and two children; Caucasian; Has a double rupture for which he claims to be exempt from military service; Height: Tall; Build: Slim; Blue eyes, Black hair; No disabilities. Registered 1917 at Lisman, Choctaw Co., Alabama. Simie Lee Culpepper, Son, M, Wh, Mar 1890, 10, sng, MS/MS/MS. Emmer Culpepper, Wife, F, Wh, 55, M1-32 yrs, ch 3/3, MS/NC/MS. Emma Culpepper, Wife, F, Wh, 65, md, MS/SC/SC. William O. Culpeper, Son, M, Wh, 3, S, MS/AL/MS. William O. Culpepper, Son, M, Wh, 12, sng, MS/MS/MS. Ollie M. Culpepper, Wife, F, Wh, 50, md@24, MS/MS/MS. + Ollie May Culpepper, 1879 - 1959. + Millie Culpepper McMurry, Aug. 13, 1855 - June 16, 1911 (Wife of J. R. McMurry). M. Culpepper and James R. McMurray married 8 Nov 1870 in Lauderdale Co., MS.